Visitors are permitted within the cemetery during the daylight hours and shall use only avenues, roads and walkways designated, unless it necessary to walk on the grass to gain access to one’s own plot. Vehicles will not be allowed upon any plot, lawn or walk and must keep on the roads or parking areas. The Cemetery Authorities expressly disclaim liability for any injuries sustained by anyone violating this rule. Only the plot holder and his/her relatives or friends shall be permitted on the cemetery plot. 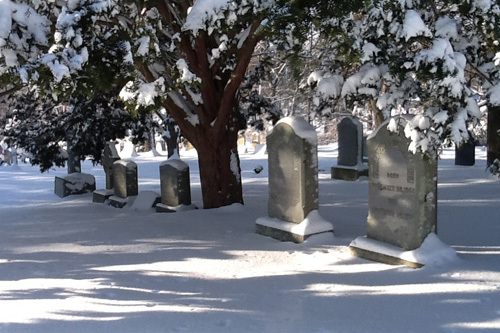 All persons while on cemetery property will be expected to conduct themselves in an orderly and considerate manner, and failing to do so may be excluded from the cemetery grounds and will be considered trespassers. No pets, other than service animals, are permitted in the cemetery. All persons are prohibited from moving, writing upon, scratching, defacing, mutilating or injuring any tree, plant, shrub, monument, fence or other structure in or belonging to Hillside Cemetery. Planting of trees, shrubs, vines and bushes are forbidden. The right is reserved to regulate the method of decorations of plots so that uniform beauty may be maintained. 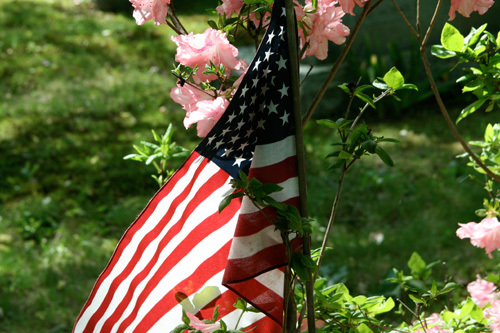 Permitted objects include flags, small toys, planted flowers, cut flowers, potted plants if secured and holiday arrangements placed no further than 24 inches in front of the headstone. All glass objects, containers, vases including candle votives are prohibited due to potential breakage and injury to visitors and maintenance workers. No objects or plantings are allowed behind the headstone. Fall Cleanup is designated from November 1st through Monday before Thanksgiving. During this period all decorations are removed and the Cemetery grounds are prepared for the winter season. Spring Cleanup is designated from March 1st through May 15th. During this period all fall and winter decorations are removed and the grounds are prepared for the spring season. Fresh floral displays placed on graves following interment will be removed after ten days, when unsightly or when maintenance is required. Graves from recent interments are leveled and seeded as weather permits. 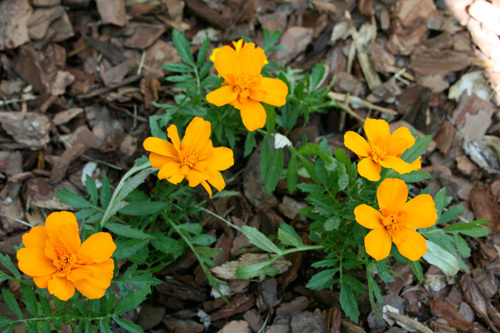 All persons are prohibited from picking flowers, wild or cultivated, or from improperly displacing any floral decorations. 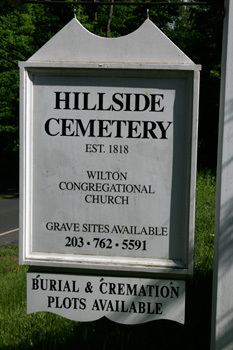 Hillside Cemetery reserves the right to remove any floral displays or plantings that become withered and/or unsightly. The decoration of trees and shrubs with holiday ornaments, toys, wind chimes, birdfeeders, etc., is strictly prohibited. 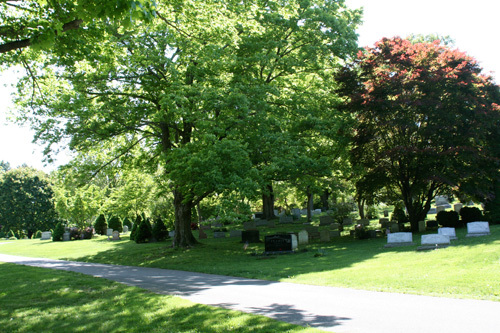 Hillside reserves the right to remove or prune any trees or shrubbery previously planted in the cemetery which may mar the beauty of the cemetery or may encroach upon or interfere with other plots or graves, or which has been previously placed without written permission. With the express permission of Hillside Cemetery footstones, benches, concrete urns, pedestals, or statuary may be permitted on a particular plot but in no case may the lawn be disturbed, and such decorations may be removed within the reasonable discretion of the cemetery. Monuments, headstones or markers can be placed only on graves for which full payment has been made. Headstones, footstones and monuments are the property of the customer. Memorial appearance and maintenance are the owner’s responsibility. Grounds care is a continual concern at Hillside. We welcome any suggestions for improvement and assure you they will be given our full attention. For a complete set of Rules and Regulations click here or inquire at the office.